Today we have something special for our readers. It’s a great honor to give you exclusive interview with one of the most important game designers in the field of man-to-man skirmish wargaming, Origin Award winner and nominee in multiple categories and author of well known Song of Blades and Heroes, Mr. Andrea Sfiligoi. First of all, welcome to our blog. Our first question: What is your gaming history? My beginning is quite funny, I think. I always liked fantasy. I had an uncle who was a Jehowa's Witness and he gave me one of their magazines where it described Dungeons and Dragons as a „game filled with the ideas of Satan the devil“ so I said – I must HAVE this game! But we were in preinternet days and buying stuff was not so easy. Luckily my mother brought me to a comic-book convention (I think it was 1982) where I bought a copy of Marvel's EPIC magazine. There was a page with an ad for TSR's games, and so I managed to order a catalog from TSR UK, paid for D&D red box with „international reply coupons“ (sort of stamps that you used to pay for stamps in foreign currencies... don't ask, they were complicated times!) and so it all began. When have you decided to write games and why? Actually as I was waiting for my D&D red box, I created a boardgame (about pirates) and inflicted it upon my friends. I was 12. No it was not a good game, it was a Gmed boardgame played on a giant board that I painted with watercolors on a full sheet of bristol paper. When designing games, what is your general philosphy? In general, I design the games that 1) I would like to play and 2) games I think can fill a specific niche and sell well. It's simple as that. Our wifes are asking, do you involve your family in the creative process? Unless you count my cat, I have no family. I certainly involve my friends who have to suffer through late night phone calls (I just had an idea for a game, you gotta LISTEN now....) and many hours of playtest. Here in Czech Republic, there is quite a few people familiar with your work as man-to-man skirmish is not that popular here. How are you recognized in your domestic market in Italy? Can we find your rulesets sold in gamestores, bookstores or so? I am invited at convention, especially at Lucca Games where I am always given a free table to demo my games, but I have almost no store presence because I distribute directly. I have more store presence in the US than in Europe. 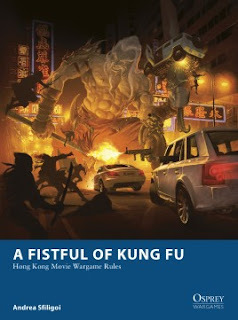 On this very blog there are several reviews of your games, those published by Osprey Games (Rogue Stars, Of Gods and Mortals, A Fistful of Kung Fu). How was your cooperation with Osprey? Very good, I was given complete creative freedom. The only problem was fitting the books into the limited page count. 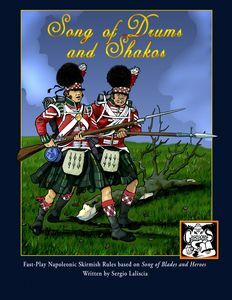 Is there anything else in the pipeline between you and Osprey Games? Not at the moment but if they call, I will write again for them. Oh well, I have a scenario in an upcoming book that I am not at a liberty to discuss now, but I am only one of many authors on that product. You have also worked with another Origins winner, Daniel Mersey. Was that one-time cooperation or do you help each other regularily? It was a one time collaboration but I have been knowing and talking with Daniel since the early days of Ganesha Games, when he wrote Song of Arthur and Merlin. I hope he will write something else for me. 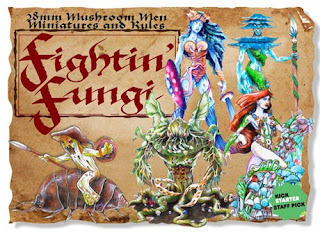 What inspires you to the innovative ideas like, for example measuring sticks movement, Fighting Fungi (skirmish game of warring mushrooms) or the recent Battlesworn where everything is being solved by secret bid? I frequently steal ideas from other types of games, and see if it is possible to „think different“. These days, the cinemas are overrun with comic book movies, Avengers, Justice League and others… does this affect the sales of your superhero game – The Power Legion? No, I don't think they affect the sales. It's not a best-selling game because I don't have the brand recognition of famous Marvel or DC heroes. I am not complaining – it works well and sells well for what it is, but it would sell like hot cakes if I had Spiderman on the cover. Now, let’s talk about your current Kickstarter project, the Star Eagles. What can you tell us about the game? 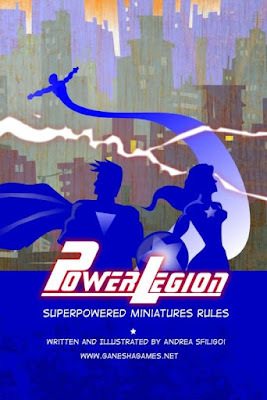 Well, Star Eagles is 100% the brainchild of my business partner Damon Richardson, who is the guy who manages miniature production and Kickstarters, so you should ask him. I have played it when he visited me and I can tell you the game is terrific, simple and tactical at the same time. Unfortunately, we are behind schedule with that because anything that could happen to us during the process happened... we will be able to finish and deliver the game soon. So, should we expect competition to X-Wing Miniature Game? I am trying to imagine how 4 against Darkness is played. Can you explain what's going on? Four Against Darkness is, basically, a simplified solo RPG in which you run a party of 4 adventurers. You can get into a random dungeon, or play one of our scripted adventures (each adventure is a little different, some use a map that you follow, other a series of random events, or a semi-random process). 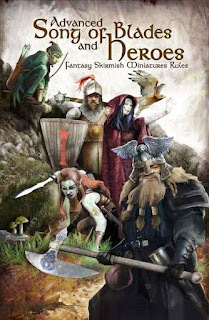 Four Against Darkness is quickly becoming my best selling game of all time (it is currently at number 1 position is you search for Solo rpg in Amazon), so expect a lot of supplements for it (there are 9 books already, and 4-5 more are in the pipeline). 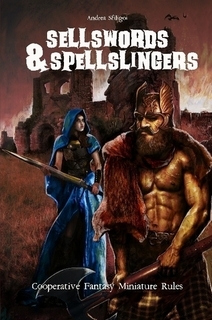 Are the monsters and scenarios card driven like in Sellswords and Spellsingers? No, everything works with random tables, and the interaction with monsters is quite abstract. You either attack them first, or wait to see their reaction (rolling on a recation table, every monster has its own little d6 table with the actions it may do). Which game from your portfolio would you recommend to our readers and why? My favorite game is probably A Fistful of Kung Fu published by Osprey, it is like a sum of all the things I like in games. 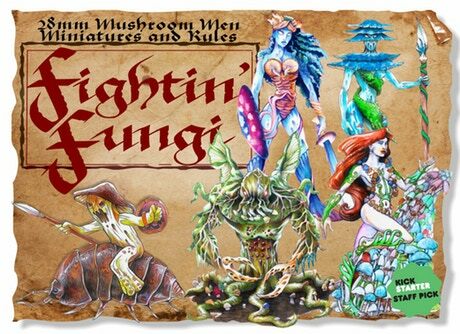 But right now, I would also recommend any of the solo/coop games like Four Against Darkness or its cousin Sellswords & Spellslingers. Or my upcoming solo/coop witch-hunting card game, Hexxenhammer Rise of the Witchfolk that is roughly based on German folklore and should be on Kickstarter this summer... or maybe later, who knows. And the last question we ask to everyone: Why should people play this particular game? My games are simple, cheap, and fun. They do not have pretension of „depth“ as I don't like heavy games. Today players have too many distractions and have too many games to try, so a game should be able to concentrate all the fun in a short duration and be playable on a small space. Thank you so much for your interview, we are looking forward to your next games. And to you, dear readers... see you at the gaming table.